When David takes Alex to Hershey to learn the ropes about the Concours, the timing couldn't be worse. The Bugatti boys are working against the clock to finish the Aerolithe before the owner sees it, but the pressure doesn't stop there. 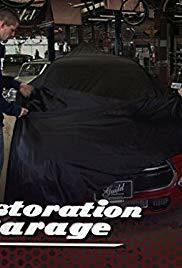 Paul pulls together the grease monkeys and body shop boys to get a '66 pimped-up Oldsmobile Toronado out the door for a client who wants it pronto.